I was adding up all the units of the Tau Battleforce to see how much of a saving it gives you. And I discovered that the individual contents come to £91! I've taken this opportunity to stock up on these at £48 each from Wayland Games before GW makes them unavailable. I just ordered 4 and saved myself £43 per box. So that's £172 I just saved, which I will of course spend further down the line. But will the Crisis battlesuit get replaced with a new model? At this price I don't care too much, because I just made a huge saving and the other models in the box will certainly be carried forward. I also bought a copy of Super Dungeon Explore while I was at it. I mean, why not? I'll no doubt post a review of it in time once I've played a couple of games with it. 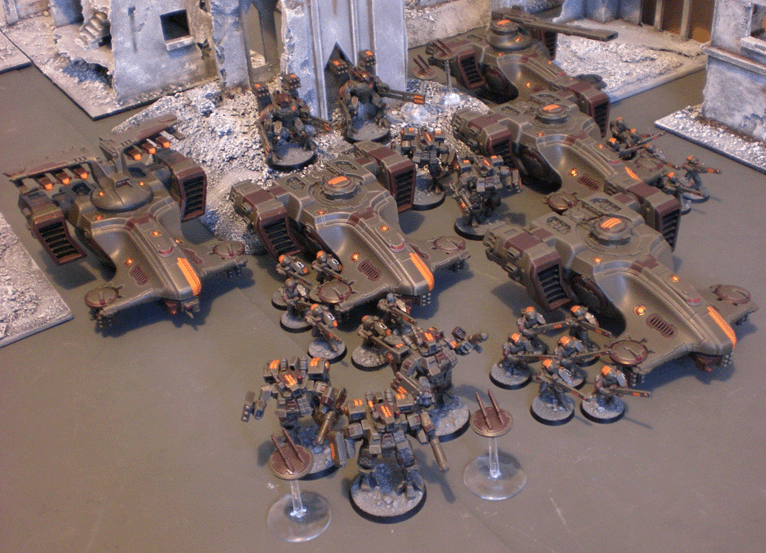 I'm really looking forward to building and painting my Tau army again! I think it depends very much on the style of army you play. I don't use kroot and my FWs are MSUs so I don't need many of those. Obviously it's a great box for people who use lots of kroot and/or FWs. Now, if the battle force had a version that was suit heavy, then I'd be very interested. Il nab some of the battle suits off you mate, I need a few more to bulk out forces.